The Archer School for Girls’, including a beautiful 1930’s Spanish Mission style academic building and courtyard, has been dramatically expanded with a new Multi-Purpose Building, Performing Arts Center, Visual Arts Building, sports fields and underground parking. 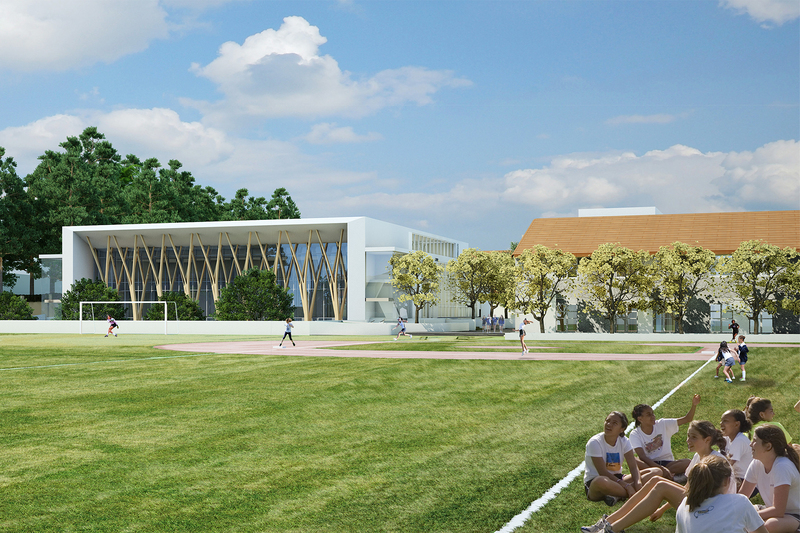 With master planning and landscape design by PB&Co, these new facilities blend into the fabric of the campus. 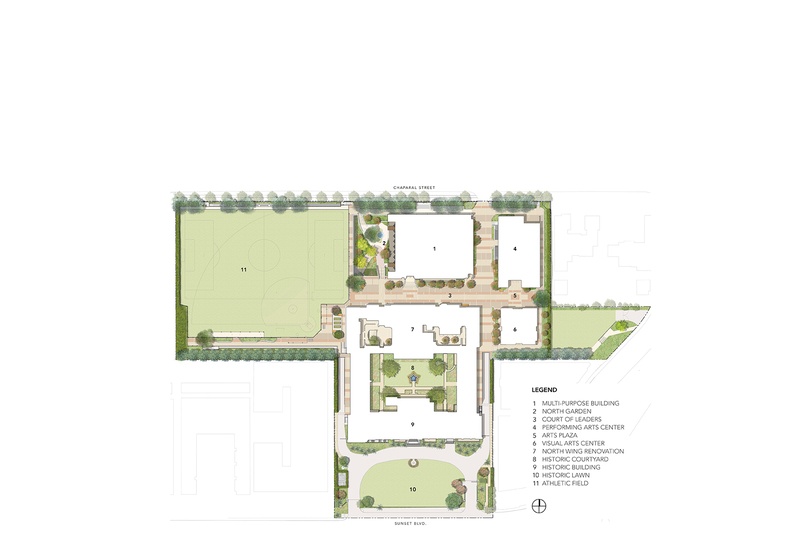 Crucial to the success of the new plan is the Court of Leaders, placed at the heart of the school, connecting the new Entry to the Academic core and the Arts Quad with Physical Education spaces. The Court maintains the intimate scale and charm of the space and includes custom designed nooks and seating areas with quotations by women leaders in the paving. The spirit of Diana, the Roman Protectress of Women, Goddess of the Moon and an icon for Archer School, is reflected in a moon fountain at the new North Entry Garden, which is planted with a forest of native California Sycamores and Oak trees.